Trust (1991) was Hal Hartley’s second feature film and his second to feature the late Adrienne Shelly as the lead. Adrienne plays Maria, a high school student whose life is changed by both her pregnancy and the angry young man—Matthew, played by Martin Donovan—she meets soon after her family kicks her out of the house. As droll as they are sincere, Maria and Matthew try to find their way in suburban Long Island, dealing with each other’s uniquely insane parents along the way. You think your family is bad? Well, have they inspired the words, “A family is like a loaded gun: If you point it in the wrong direction, you’re going to kill somebody”? That’s Matthew talking, and a little time spent with his father makes that kind of statement sound completely rational. 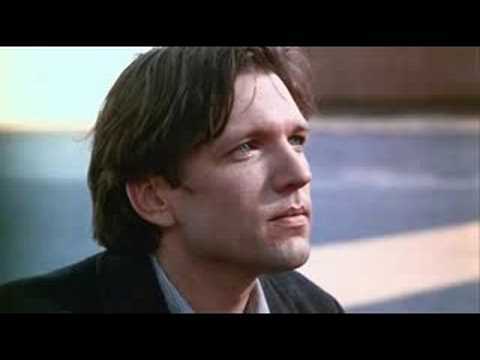 Hal Hartley is known for telling stories in a particularly cool, mannered way that somehow makes the feelings all the more powerful for being restrained. Such restraint allows the tragic and comic to blend beautifully in this modern tale of young lovers fighting against an uncaring world. It might not be as visually confident as Amateur or as philosophically broad as Henry Fool, but Trust will always be a favorite among Hal Hartley fans because it takes us straight back to a time of teenage purity, when things weren’t quite so convoluted and compromised. It’s almost like a John Hughes movie for bookworms. Trust also stars a pre-Sopranos/Nurse Jackie Edie Falco as Maria’s cynical, world-weary older sister; seeing her in her early days is a treat in itself. Unfortunately, distribution conflicts have kept Trust from being released on American DVD. This creates a strong argument for either holding onto your old VCR and/or getting a region-free DVD player—they’re less expensive than, say, the American DVD release of The Cook, the Thief, his Wife and her Lover and they make life a lot easier for fans of foreign, indie, and cult films. However you see it, Trust is worth tracking down. In its own odd way, it’s one of the most romantic films you will ever see.